You have chosen that color of your dress because you simply like it. There are people who are so particular with the color of the things they wear. And it shows how distinct are the people who are living in this world. There are people who are fond of wearing red. There are some who would prefer black. 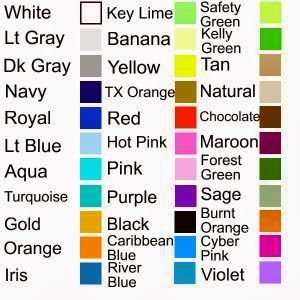 No matter what is your preference in terms of the color of the clothes you wear, you should make its color stay long. In washing your clothes, it is important to separate the colored from the whites. Or if you are that patient, you can separate them per color. It means to say the whites will go together, the blues will clump and the like. You can do this if you value your clothes so much. Do not bleach colored clothes because the concentration of chemicals of bleaches will make it fade in color. The best way to preserve the color of your clothes is by avoiding using it often. If you have several clothes, it is advised that you will wear a shirt or jeans of yours once a week because too many times washing will make its color fade. Also, if you are involved in heavy tasks, take care of yourclothes. The choice of clothes to wear is important this time. Do not wear clothes that can be damaged easily when you are into blue collar job. You have to observe proper attire if you want your clothes’ color to stay longer.